ITAHARI, May 21: Investment is pouring in hospitality sector in Itahari which is emerging as a commercial hub in the eastern region. Hotel Garima is coming into operation very soon. 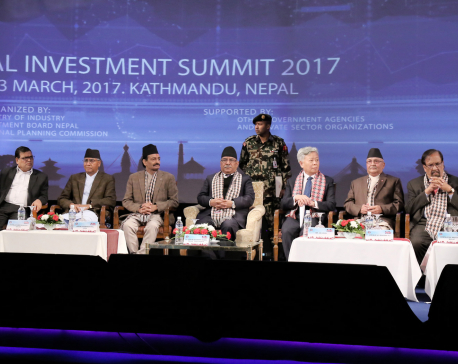 Local entrepreneurs of Itahari -- Balram Acharya, Bhim Poudel and Krishna Nepal – are investing Rs 800 million in the project. Balram Acharya, one of the promoters of Hotel Garima, said that they were targeting to bring the hotel into operation before Dashain festival (mid-September). Similarly, Gorkha Department Store is building a 35-room hotel in Itahari. Six new hotels have come into operation in Itahari in recent years. Hotel Jatra, MFC, Triyuga and Durbar Inn Hotel have already come into operation near Itahari Bazar. Similarly, existing hotels -- Pathibhara and Sumeru – have made huge investment to upgrade their facilities. Hotel Majheri has also been started at Aapgachhi in Itahari, while Hotel Tirupati, Premier and Pashupati are already renowned names in the hospitality industry of Itahari. Entrepreneurs have made big investments in these hotels. “Besides, Itahari also has several mediocre hotels like Miteri, Mechikali, Om Pathibhara, Purbanchal, Ilameli, Hira, Welcome, Paris, Ganpati, Himal, Krishna, Yatri, Nilkastha and Diyalo, among others,” Umesh Dahal, secretary of Hotel Entrepreneurs Association, Itahari, said. As people from eastern hilly and tarai districts travel via Itahari, number of hotels and lodges in this town is on the rise. Moreover, easy availability of transport service to different parts of the country is the other reason behind increasing number of hotels and lodge in Itahari. According to conservative estimates, around 1,500 hotels, lodges and restaurants are in operation in Itahari. However, only around 300 have been registered with the concerned authorities. Not only big hotels and restaurants, the number of small-scale BBQ outlets is also increasing with each passing year. There are more than 50 BBQ outlets in a four-kilometer stretch from Itahari Bazaar to Tarahara. 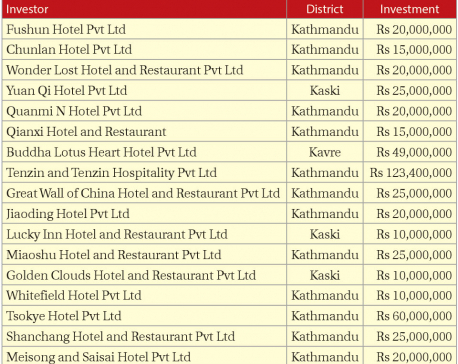 According to owners of these BBQ outlets, these outlets attract customers from as far as Dharan and Biratnagar. Combined daily turnover of these hotels, lodges and restaurants is more than Rs 25 million, office-bearers of the association say.